As we look ahead to our next Namibia expedition in 2016, Woodlore’s Dan Hume unearths some unseen photos from his last visit to this remarkable country. This entry was posted in Bushcraft Courses & Expeditions, Ray Mears and tagged Africa, elephant, Namibia, Ray Mears, rhino, Safari, Tracking on June 24, 2015 by Woodlore Limited. 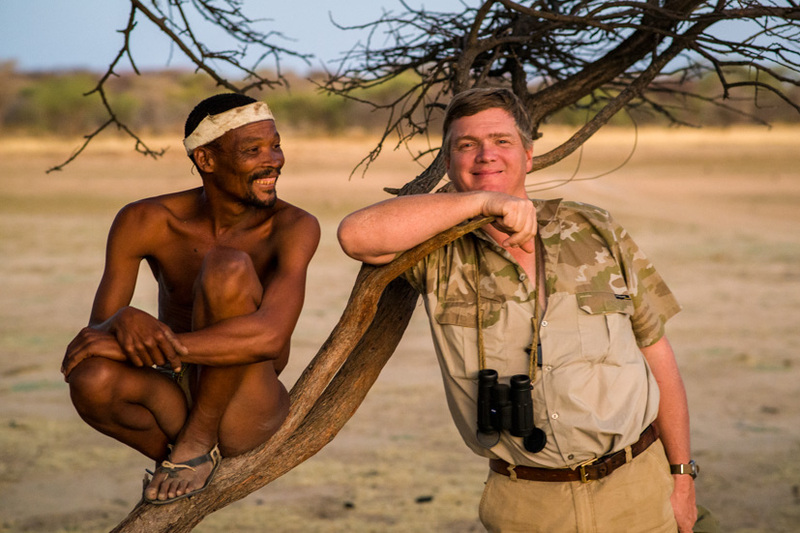 This entry was posted in Bushcraft Courses & Expeditions, Ray Mears, The Woodlore Team and tagged Africa, bushmen, Erindi, Namibia, Ray Mears, Safari, wildlife on December 3, 2014 by Woodlore Limited. The following post was written by Woodlore’s Fundamental Instructor and Head of Operations, Dan Hume. 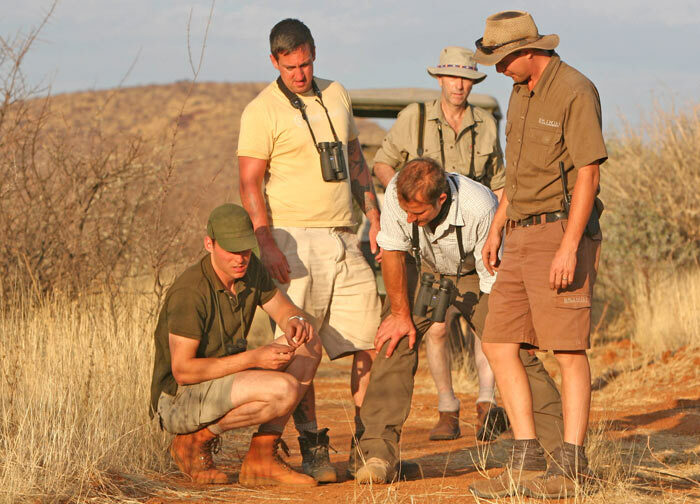 Following the success and popularity of our 2012 expedition, in October 2014 we will be returning to the African bush to run our Tracking in Namibia Expedition with Ray Mears once more. 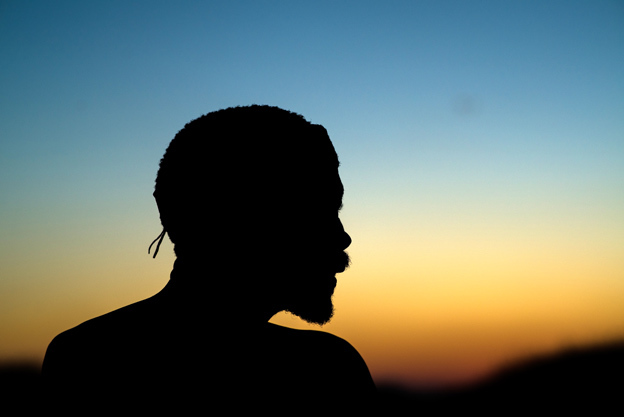 We will base ourselves in the Erindi Private Game Reserve; a beautiful and unique area ten times the size of Manhattan, located in central Namibia. The reserve boasts a staggering and truly exceptional variety of African species. As just one example to give you some idea, we frequently saw black and white rhino in the same morning which, as you will probably know, is almost unheard of throughout the rest of Africa. This is the focus of our time spent in Africa; out on the ground, tracking in the bush. The students in the picture above have just picked up the trail of an Aardwolf that passed by the night before. This entry was posted in Bushcraft Courses & Expeditions, Ray Mears, The Woodlore Team and tagged Africa, Expeditions, Namibia, Ray Mears, Safari, Tracking on December 17, 2013 by Woodlore Team.